Women's Batwing Sleeve Sheer Tunic Only $6.45 + FREE Shipping! You are here: Home / Great Deals / Amazon Deals / Women’s Batwing Sleeve Sheer Tunic Only $6.45 + FREE Shipping! 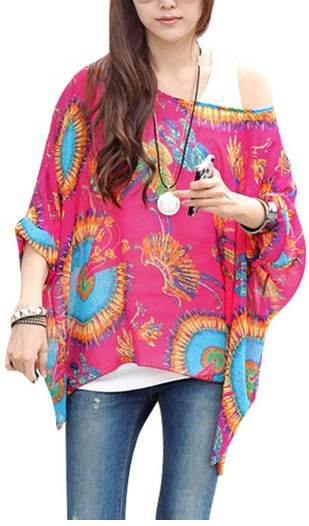 Women’s Batwing Sleeve Sheer Tunic Only $6.45 + FREE Shipping! Looking for a new shirt? I have a nice deal for you! Grab this Women’s Batwing Sleeve Sheer Tunic for as low as $6.45 + FREE shipping! This comes in sizes XS-XL. I love the color of this top. It’s so fun! And, with the longer sleeves, this is perfect for fall!